DefensiveDriving.com is the leader for online driver safety! We provide quality products and unparalelled customer service. 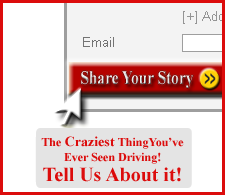 Go to www.DefensiveDriving.com today to tell us about the craziest thing you’ve ever seen driving to be entered for a chance to win $100 gas card. We look forward to hearing your story today! Congratulations to our three winners from the National Safety Conference Texas Safety Conference and Expo last month! Hope you are enjoying your free gas card! GO TO www.DefensiveDriving.com TODAY TO ENTER THE GAS CARD CONTEST! For more chances to win, visit our booth at Buzzfest XXVI at the Cynthia Woods Mitchell Pavilion on Sunday May 1, 2011.